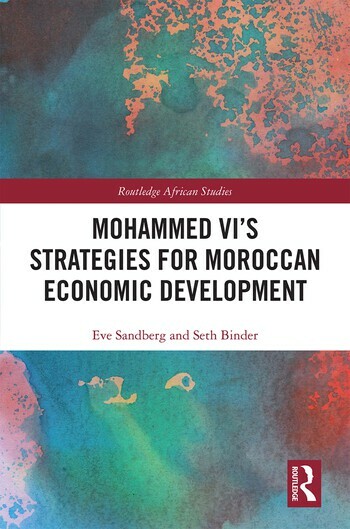 This book analyzes the economic development choices initiated by Morocco’s King Mohammed VI since he ascended the throne in 1999 and situates those choices in the political economy development literature. Examining the policies enacted by the King, the authors argue that over the past twenty years Mohammed VI has achieved some outstanding successes in modernizing the foundational economic sectors of Morocco, but the benefits of this development have not reached all Moroccans. With its focus on economic development, this book explores the way in which Mohammed VI’s development strategies have, in part, resembled the neoliberal model advocated by Western powers and institutions, as well as how the King also adopted some of the European practices of state intervention found in the "varieties of capitalism" models across Europe. Additionally, Mohammed VI’s Strategies for Moroccan Economic Growth looks at the way in which the King has sought to utilize "leap frog" technologies so that Morocco has become a leader in certain productive sectors and is not just catching up to rival producers. The book also examines the extent to which Moroccan citizens have benefited from the economic transformations, arguing that not all Moroccans have benefited; many Moroccan citizens in 2019 echo the same economic concerns that were voiced in 1999 when King Mohammed VI first assumed the throne. With its focus on economic development, this book will be of interest not only to scholars and students of Middle East and North African Studies, but also Economics, International Development, and Politics. Eve Sandberg is Professor of Politics at Oberlin College, Ohio, USA. Seth Binder is Advocacy Officer at the Project on Middle East Democracy (POMED), Washington DC, USA.